The first question that you need to get an answer to while choosing your insurance plan should be your financial goal. You need to know the purpose of your insurance plan. Your objective could be protection or financial security, saving for your children’s education, retirement, ownership of some valuable assets, or even for your daughter’s marriage. Having your insurance need identified will enable you to move on to the next step. 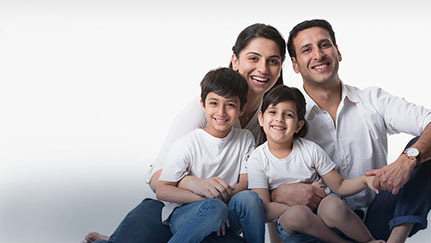 Deciding on why you are opting for a certain type of insurance plan is not enough. You also need to evaluate the quantum that you are willing to spend in the form of premium, towards this insurance plan. You must ensure that this decision is taken wisely so that it doesn’t pinch your pocket in the long run and can be sustained over the full term of the policy. How long am I willing to stay invested? The decision regarding how long you are willing to invest is based on your financial goal. The decision on the investment horizon or the time frame needs to be taken while evaluating the amount of your premium. For example, if your goal is saving for your child’s education, the investment horizon would be a minimum of 10 years, while if the objective is that of providing for life after retirement, the term of the policy would be at least 25-30 years. Your risk appetite is a crucial determinant of the returns that you can expect on your investment. The basic principle of investment is: higher the risk, higher the return. Hence, knowing your risk appetite is important to decide if you would be comfortable with a unit-linked plan or a traditional plan. In a unit linked plan, your returns are linked to the performance of the fund you opt for, whereas, in a traditional plan returns are secured and at times are pre-determined. Since the tolerance of risk varies for different people, you should consider the following to decide your risk appetite. Age: A young person can take more risks since there are few dependents, a safe livelihood and a longer earning life ahead of him/her. Asset Ownership: If one owns a lot of assets and has few liabilities, i.e. has a high “net worth”, one can afford to take more risk as the cushion of assets can safeguard from the short-term losses due to fluctuation in the market. Investment Experience: Those with knowledge and prior experience in investing in financial markets understand the long-term impact of short-term fluctuations in the market, hence, can take more risk. What is my understanding of the product? Once you have decided to buy a product, ensure that you understand the product well. Therefore, you must make sure that you are aware of the following. 1. Does the plan cover the intended financial goals in the unfortunate event of your death? 2. What is the premium payment mode, i.e., whether it is a single premium policy or regular premium policy. Also, consider the premium payment term. 3. Also be aware of features like the term of the policy, maturity benefits, and surrender benefits. 4. Bonus track record of the policy. It is critical for you to have answers to the questions mentioned above, as these can make your decision simpler and ensure that you make a smart choice about the insurance plan you opt for.